"Great service, genuine employees who really care that you have a wonderful time at Deer Valley. Amazing ski school and children&apos;s programs." "Sun Valley has by far the best service anywhere. The people always have a smile and a helpful kind word." "Tourists at Whitefish seemed rare, almost every chair ride I had was with a local, and many seemed surprised that I had made the trip to ski there. I demoed skis, and the service and advice was exceptional. It&apos;s a hidden gem that&apos;s at the top of my list." "My favorite resort. Service is fantastic at Snowbasin, snow is unbelievable, and the food at the resort is some of the best I have ever had." 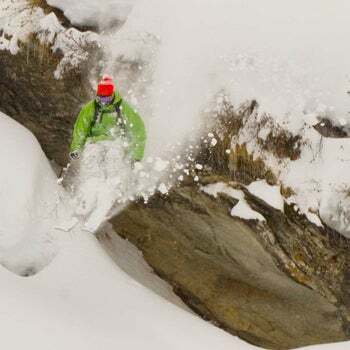 "Grand Targhee is still one of the best kept secrets in North America. The snow is consistent every year and the powder snow is incredible. Small resort, excellent service, and awesome skiing make this my favorite resort." "Love this resort. I am not into nightlife, so the lack of that in the area is not a big deal. I am into service, well-maintained slopes, and friendly people. Beaver Creek has all of those in great abundance." "Boom! Jackson Hole delivered beyond expectations, from impeccable service everywhere we went to outstanding food and dining options then there&apos;s the skiing! Have booked to come back in 2019 from NZ so that says it all!" "A Basin focuses on ski experience. The employees are pretty much all friendly and helpful. People come here to get on the slopes. The mountain is expanding soon and will offer even more. There is plenty for any level skier." "Telluride is a world-class resort that truly has the best of everything! Quality of the ski resort is topnotch, the service from everyone is wonderful, beautiful scenery, tons of things to do around town, and amazing restaurants!" "Service, atmosphere, and challenging skiing make Taos one of the are best ski experiences in North America. Instructors are the absolute best."